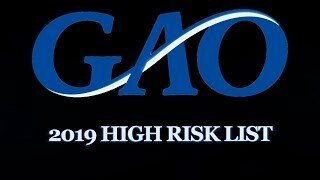 GAO has issued the 2019 High Risk List, a list of programs and operations that are ‘high risk’ due to their vulnerabilities to fraud, waste, abuse, and mismanagement, or that need transformation. The list is issued every 2 years at the start of each new session of Congress and has led to more than $350 billion in financial benefits to the federal government in the past 13 years. In our latest update, the rankings for more than half of the over 30 areas on the list remained largely unchanged with three regressing. Ratings for seven areas improved, two to the point of coming off the list. We also added VA Acquisition Management to the list after identifying seven VA contracting challenges at the Department of Veterans Affairs. 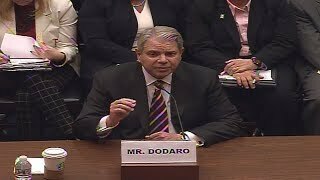 VA has one of the most significant acquisition functions in the federal government, in costs and numbers of contracts. Another issue—the Government-wide Personnel Security Clearance Process—was added to the list in January 2018 due to growing concerns about security clearance backlogs and other problems. 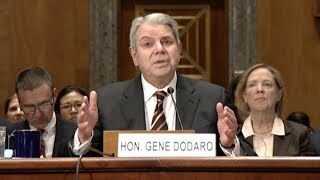 In addition, two issues showed enough progress this year to be removed from the list in this update: Department of Defense Supply Chain Management and Mitigating Gaps in Weather Satellite Data. Learn more about their progress and other areas in the Press Release. When was each High Risk area added to the list? This table shows the year that each area on GAO’s 2019 High Risk List were designated High Risk. In 1990, we began a program to report on government operations that we identified as “high risk.” Since then, generally coinciding with the start of each new Congress, we have reported on the status of progress to address high risk areas and update the High Risk List. Overall, our High Risk List has served to identify and help resolve serious weaknesses in areas that involve substantial resources and provide critical services to the public. Since our program began, the government has taken high-risk problems seriously and has made long needed progress toward correcting them. In a number of cases, progress has been sufficient for us to remove the High Risk designation.